The main initiator of operation ‘Cultivation,’ owner of the Chorzelów estate, Mielec county, Kraków Province. From 1936 he was the president of the Landowners’ Association of Lesser Poland (Małopolski Związek Ziemian); he organized help for deportees from territories incorporated into the Reich, and from 1940, he was a member of a secret association of landowners, codenamed: ‘Shield’—‘Cultivation’—‘Protection.’ A social and underground activist. After the war he lived in Zakopane, Tyniec, Kraków, and worked on various, low-paid positions in cooperatives as well as in the Municipal Office of Historic Preservation in Kraków (Miejskie Biuro Konserwacji Zabytków w Krakowie). His wife, Janina Wanda née Pawlikowski , primo voto Woźniakowski, secundo voto Tarnowski (1895–1972). Actively participated in the 1939 September Campaign as a soldier, during his escape to Hungary he was severely wounded. After his recovery he made it through to the General Government and ended up in his mother’s house in Chorzelów. AK soldier, adjutant of the Mielec District commander of the AK and member of an underground landowners’ organization ‘Shield’—‘Cultivation’—;Protection.’ During the occupation he lived in Chorzelów at his stepfather’s, Karol Tarnowski’s, house and in Zakopane at his grandmother’s house. When the war was over, he completed his education, worked as a journalist for Tygodnik Powszechny, the editor-in-chief of the Znak publishing house, and as a lecturer at the Catholic University of Lublin as well as at universities in Toulouse (Le Mirail) and Jerusalem. He was a writer, journalist, translator. He was the first Mayor of Kraków in 1989. Owner of Jaryczów near Lvov. 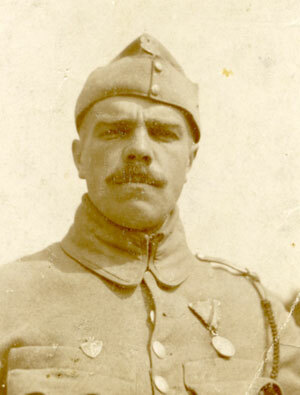 Participated in the battle of Lvov in 1918, a soldier serving in the 8th Uhlan Regimen (8. pułk ułanów), wounded in the Polish-Soviet War. After the First World War he took up working in the estate, especially horse breeding. Winner of many prestigious equestrian awards. He was socially active in the role of the wojt (wójt) of Jaryczów and vice president of the Landowners Association of the Eastern Provinces of Lesser Poland (Związek Ziemian Wschodnich Województw Małopolski). 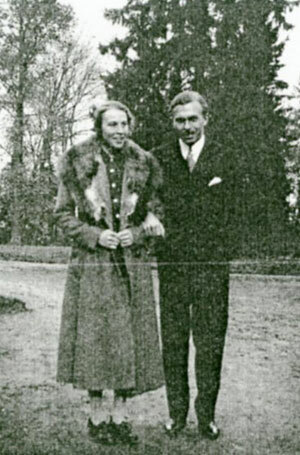 In 1931 he married Wanda Czaykowski, an outstanding equestrian. They had a daughter, Ilona (1934) and a son, Kornel (1944). When Soviet Army marched in, he stayed in Lvov for a short time, where he began his underground activity. Threatened with arrest, he made his way with his family to the territory of the General Government, where he became involved in the Union of Armed Struggle. and in 1940 in the organization called ‘Cultivation,’ which he was in charge of in southern and eastern parts of the General Government. Officially he worked as the manager of Stanisław Rey’s property in Sieciechowice [the former Miechów County (powiat Miechów)]. 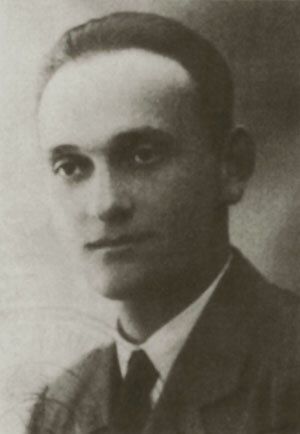 Krzeczunowicz was arrested by the Kraków Gestapo on August 1, 1944. He was subjected to a violent investigation, which involved torture, but this has not broken his spirit. In December 1944 he was sent first to the Gross-Rosen and next to the Mittelbau-Dora concentration camp, where he was murdered, probably on March 19, 1945. Posthumously he was awarded the War Order of Virtuti Militari of the 5th class (Order Wojenny Virtuti Militari V klasy). 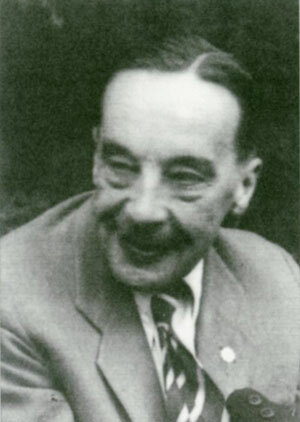 Graduate of the Major School of Rural Economy in Warsaw (Wyższa Szkoła Rolnicza w Warszawie), volunteer in the Polish-Soviet War, a brilliant agronomist, president of the Landowners Association in Łomża Province (Łomżyńskie) (1921–1939) and the general secretary of the Main Landowners’ Organization (Naczelna Organizacja Ziemiańska). In September 1939 he was forced to leave Dzierzbia, which was occupied by the Soviets; he lived with his family in Warsaw, where he became the director of the Landowners’ Credit Society (Towarzystwo Kredytowe Ziemskie). In 1940 he assumed command of an underground landowners’ organization, codenamed: ‘Cultivation’ / ‘Shield,’ and led it until 1944’s Warsaw Uprising. He maintained direct contacts with the Headquarters of the ZWZ-AK (Union of Armed Combat, Związek Walki Zbrojnej, ZWZ; the Home Army, Armia Krajowa, AK) participated in establishing ‘Cultivation’s’ goals, and wrote activity reports and prepared financial accounts. During the 1944 Warsaw Uprising he fought as a paramedic. After the war the authorities forced him to liquidate the Landowners’ Credit Society. Afterwards he worked in the State-owned Municipal Works Company (Państwowe Przedsiębiorstwo Robót Komunalnych). Until the very end, he kept his role in ‘Cultivation’ secret. Threatened by the possibility of arrest by the Stalinist Security Service (Urząd Bezpieczeństwa, UB) he destroyed the organization’s archives, which he kept in his house. In 1921 Roman Lasocki, son of Stanisław and Anna née Kurnatowski, married Anna Maria Kisielnicki, the Topór from Korzeniste coat of arms (Topór z Korzenistego). She came from a wealthy family, known for social and patriotic work. The married couple had two sons: Zygmunt and Krzysztof as well as a daughter, Teresa. After the outbreak of the Second World War, the Lasockis’ manor, along with the surrounding agricultural and industrial facilities, were under Soviet occupation. The owners managed to escape, but their property was plundered and looted. The Soviet Army turned the mansion into an ammunition storage facility. After the outbreak of the German-Soviet war in June 1941, the retreating Soviets blew up the manor and the remaining structures. The Germans made an attempt to partially rebuild the grange and start agricultural production. After a period of wandering from one friendly landowner’s mansion to another, the Lasocki family settled in Warsaw. On February 13, 1945, the Dzierzbia property was parceled out by the Polish communist authorities. State Agricultural Farms (Państwowe Gospodarstwo Rolne, PGR) were created on some parts of the estate. At present the only remnant of the manor is a fragment of a stairway on the garden side of the house. From the economic facilities only the stables are left. Ph.D. in Chemistry at the University in Freiburg, Ph.D in philosophy at the Jagiellonian University, assistant lecturer at the universities in Göttingen and Kraków, activist in the Commission of Confederated Independence Parties (Komisja Tymczasowa Skonfederowanych Stronnictw Niepodległościowych, KSSN), in 1914 a volunteer in the 2nd Brigade of the Polish Legions (II Brygada Legionów) (Uhlan in the 2nd Cavalry Squadron), took part in the famous cavalry charge near Rokitna and in the Polish-Soviet War, next served in the 15th Uhlan Regiment, and later in the 14th Infantry Division (14. Dywizjon Piechoty). In 1923 he graduated from the Higher War School in Warsaw (Wyższa Szkoła Wojenna w Warszawie, WSW). During the 1926’s May coup he fought on the government’s and President Wojciechowski’s side. In 1935 he was deactivated at the rank of a certified colonel, and took up managing the Gębice estate. He was active in social and economic organizations. He was called up in August 1939 and took part in the defence of Warsaw. After the city’s surrender, he escped to France and reported to the Headquarters of the Commander-in-Chief. From December 1939 he was in charge of secret Bases of Communication with the Country (Baza Łączności z Krajem) in Bucharest, Istanbul, and Budapest. He got to Warsaw, joined the command of the South-Western Area of the Home Army (Independent Areas of Kraków and Silesia), he cooperated with ‘Cultivation.’ In July 1944 he took command of the Kraków Area of the Home Army. Arrested on August 11, 1944, and probably beaten to death on the same day, during the interrogation in an Gestapo office at Pomorska Street. Educated in a boarding school for girls of the English Ladies convent in Bruges, Belgium. During the First World Was together with her mother, she was engaged in charity campaigns and cared after the families of peasants called up for service in the Prussian Army. On September 25, 1918, Zofia Mycielski married cavalry master Stanisław Rostworowski, a professional soldier, who before his deactivation in 1935, had spent most of this time in battle at the front and later in frequently remote quarters for cavalry units in which he served. 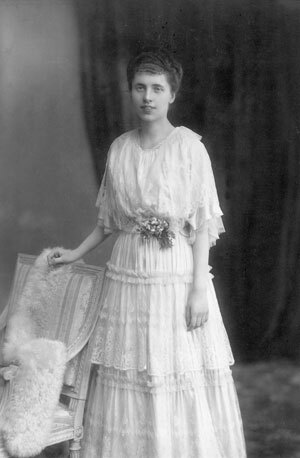 Despite numerous time-consuming chores, Zofia had the time for social activity—she was the president of the Women’s Peasant Association in Gębice (Koło Włościanek w Gębicach) and of the Farmers’ Wives Sodality (Sodalicja Pań Wiejskich) in Pępowo, she became involved in the Catholic Action (Akcja Katolicka). In December 1939 Zofia Rostworowski was resettled by the Germans and deported to Tarnów in the General Government. She found shelter in nearby landed gentry estates, for the longest period of time in Sancygniów, Miechów County, in Stanisława and Andrzej Deskurs’mansion. The ordynat [principal heir] of the Zamoyski Family Fee Tail (Ordynacja Zamojska), son of Maurycy Klemens Zamoyski and Maria Róża née Sapieha, studied economics at the Institute of Trade and Economics in Nancy and in the Warsaw School of Economics (Szkoła Główna Handlowa w Warszawie). He participated in 1939’s September Campaign, during the Second World War he was an officer of the ZWZ-AK, an activist of ‘Cultivation’—the commander of the organization in Lublin Province. In November 1942 the Germans initiated displacement–resettlement operations in the Zamość Region. These events belong to the particularly traumatic ordeals of the Polish population on these territories during the German occupation. An easily recognizable symbol of the displacement process in the Zamość Region are ‘children of the Zamość Region’, who just like the adult inhabitants fell victim to the ruthless German displacement machinery. During the pacification of the Zamość Region, Jan Zamoyski with his wife Róża saved 460 children from the German camp in Zwierzyniec. They were between 7 and 8 years old and all were taken away from their mothers. He founded 4 hospitals for 1500 sick children, and he intervened in this matter with the SS and Police Leader of the Lublin District, Odilo Globocnik. Moreover, Zamoyski defended national historical heritage at all cost, and an example of this is a dangerous operation which he carried out during the Second World war, saving a collection kept in the treasury of the Zamość collegiate church. He hid everything in Zwierzyniec so that they could return to their place in the future. When the Soviets entered Poland, ordynat Zamoyski was declared an enemy of the land reform, and as a result, he lost his entire wealth of the Fee Tail and was sent to prison. In 1950 he was sentenced to twenty five years. He spent eight years there. His spirit did not break, even though he was subjected to torture. Afterwards he worked for around twenty years in Swissair, the Swiss airlines. In 1990 Jan Tomasz Zamoyski participated in the ceremony to commemorate the 350th anniversary of founding the city of Janów Lubelski. The ceremony included the grand opening of an exhibition, naturally led by the ordynat. On that day he received the title of an Honorary Citizen of Janów Lubelski. In the same year the ordynat became leader of the National-Democratic Party (Stronnictwo Narodowo-Demokratyczne, SND). A year later he was elected senator from the Zamość Province in the second Senate term; at the first sitting he held the post of a Senior Speaker (Marszałek Senior). He was a member of the Christian National Union’s (Zjednoczenie Chrześcijańsko-Narodowe, ZChN) parliamentary club. He sought re-election as a representative of the Nonpartisan Bloc for Support of Reforms (Bezpartyjny Blok Wspierania Reform, BBWR) without success. In 1995 President Lech Wałęsa awarded the Count with the highest Polish decoration, the Order of the White Eagle (Order Orła Białego), and in 1996 the City Council of Zamość (Rada Miasta Zamościa) gave the 16th ordynat the title of an Honorary Citizen. He died on June 29, 2002. Even at the onset of the Second World War she organized help for the people from Western Poland fleeing from the Germans, and made the mansion in Zwierzyniec available for this purpose. 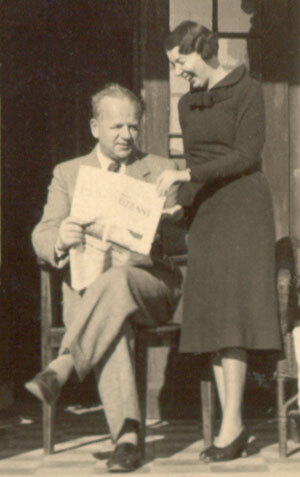 After her husband’s return, who fought in 1939’s September Campaign, they both became engaged in social aid campaigns. Róża created a Committee of Aid to the Victims of War, which provided help to displaced people from the Polish territories incorporated into the Third Reich. When in June 1943 the Germans set up a camp in Zwierzyniec for the forcibly deported from the Zamość Region, the Zamoyskis organized provisions for those confined there. Róża personally delivered provisions to the camp every day, often exposed to the threat of violent treatment on the guardsmen side. Only in the summer of 1943, 6,200 litres of milk, 12,500 kg of bread, and 95,000 litres of soup were delivered to the camp. Contagious disease spread in the camp, overcrowded and lacking basic sanitary facilities, which caused high death rate especially among children. This is when the Zamoyskis managed to obtain Odlilo Globocnik’s, the governor of the Lublin District’s, permission to establish a nursery school and a children’s hospital. Róża devoted all her energy to taking care of small children. She managed to save over 480 children below the age of 10 while another 1,500 sick children found treatment in the 4 hospitals. When camp prisoners were being transported from Zwierzyniec to concentration camps she looked after the preparation of food for their travel. She also tried to save people from being deported from the camp, especially mothers with small children. Her warm-heart and goodness for those in greatest need won her the nickname ‘Angel of Kindness.’ She managed to combine her social activity with the duties of a housewife and the mother of two daughters. When the war ended, the Zamoyskis were forced to leave Zwierzyniec. Their exile has begun. The Communist authorities decided that the Zamoyski Family Fee Tail was to be liquidated, their property seized, and the land parceled out. In October 1949 Jan Zamoyski was arrested and considered to be “an enemy of the people and of the socialist régime” and received a sentence of 25 years in prison. After her husband’s arrest, Róża and the children were forced to leave the apartment in Sopot. She was also banned from settling in Warsaw, where she had friends and relatives. After lengthy striving she managed to rent a house in Klarysew, where she stayed with the children, her mother, and with a ‘guardian angel’ assigned by the government. To provide for her family she worked as a professional nurse and ran a small grocery kiosk with her mother. Zamoyski was released from prison in 1956. Son of Antoni and Amelia née von Hachez, born in the family estate in Oschatz (Saxony). Later on he lived in Piotrowo near Poznań. In the years of his education in a gymnasium he belonged to the secret Tomasz Zan Society During the Greater Poland Uprising he organized a Citizen’s Guard in Poznań. From 1924 on he managed his wife’s, Zofia née Dembski primo voto Rembowski’s, estate in Wyszaków (Środa Wielkopolska County). He was socially active as a patron of the People’s Libraries Society, and he cooperated in organizing agricultural courses for the Farmer Clubs Association of Greater Poland. He did not serve in the army because of the poor health. When the Second World War broke out, he volunteered to be at Cyryl Ratajski’s disposal, who organized provisional authorities in Poznań and Greater Poland Province. When the Germans entered the country, he participated in forming the framework of the underground. On Ratajski’s and Adolf Bniński’s orders in the Autumn of 1939, he applied to be registered in the German People’s List, which was supposed to facilitate performing tasks for the underground. He took part in securing valuables deposited by Greater Poland’s landowners for the undergound. He was one of the organizers of the campaign of hiding Polish books, and he financed it. He funded the publishing of underground press. 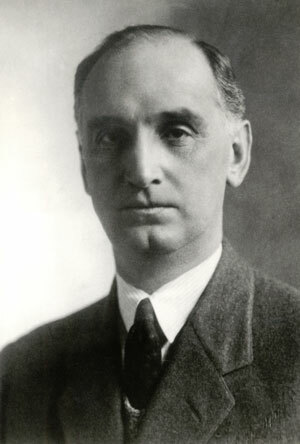 After the establishment of the Main Government Delegation (Główna Delegatura Rządu) for the territories incorporated into the Reich, delegate Bniński rendered him fully responsible for the matters related to civil resistance. At the same time, he took command of ‘Cultivation’ in the staff headquarters of the ZWZ Poznań Area. He participated in buying weapons from German soldiers. He had a radio hidden in his estate, which allowed him to monitor foreign radio broadcasts. In the Obreda forest adjacent to the estate, he took part in preparing dugouts for escaped English prisoners in hiding. He also aided conspirators in hiding. Arrested for the first time by the Gestapo in April 1942. They could not prove his cooperation with Polish conspiracy, and he was released following intercession of the German line of the Unrug family. However, he was removed from the estate, managed by a German governor from that moment. In the autumn of 1943, Unrug was appointed forest inspector in the Gifhorm estate, Saxony. Arrested again on July 5, 1944 as a result of exposure in the Środa Regional Inspectorate of the AK, he was subjected to a brutal investigation by the Poznań Gestapo. He did not reveal any secrets of the organization. In December 1944 he was sent to the Stutthof concentration camp; died of exhaustion during an evacuation march on January 19, 1945.